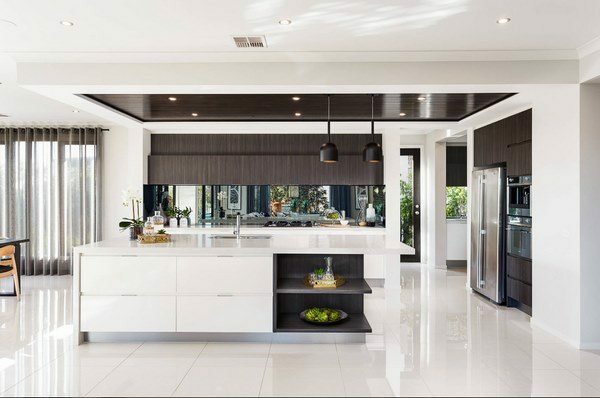 Modern kitchen cabinets 2018 follow the on-going trends that people who are interested in interior design observe for the last few years. We all know that the world of fashion not only in clothing is constantly developing, coming up with new ideas most of which follow the lifestyle of people. The same rule applies to the design of living spaces – there is an endless stream of ideas from designers from all over the world. There are many exhibitions in London, Milan, Paris and New York salons where the hottest novelties are presented and we see many creative opportunities how to create the most comfortable, practical and effective interiors. 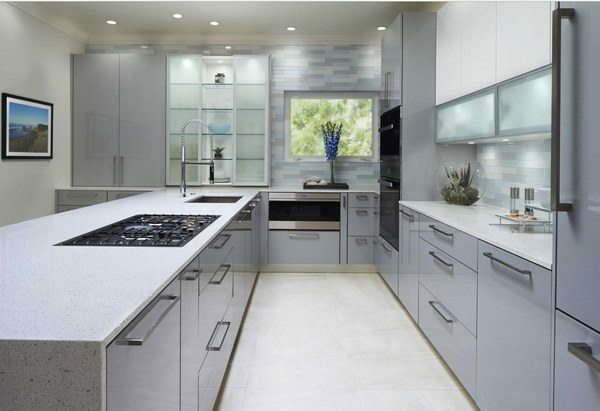 Many professionals around the globe are working hard so that we can use the most up-to-date and technologically advanced materials and appliances for our kitchen spaces and their work is really inspiring. We see how boundaries are pushed further and further in the effort to create multipurpose living space and interiors which provide maximum functionality and personal comfort, we see the constant search for the most simple solutions which harmoniously combine practicality and comfort, modern designs were the use of environmentally friendly materials and advanced technology work hand in hand for the idea of a cozy and friendly home. Whether we like it or not, we live in a hectic rhythm which dictates our daily activities and routines. A modern housewife simply does not have the time to spend hours in the kitchen preparing complex dishes or polish the cabinets in the kitchen. All of you, our readers, have felt the need of not only convenient and comfortable kitchen area but of a carefully thought out interior which allows you to quickly and safely manage with the household tasks. That is why the integration of safe, high-tech and energy-saving household appliances and clever storage systems is the main priority of any interior designer. In addition, small urban spaces face designers with the challenges of creating a kitchen with a high level of efficiency and visual appeal within a small space and often within a small budget. 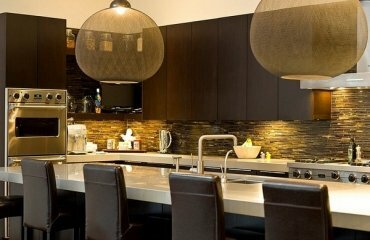 Let’s have a look at some amazing designers’ work which set the trends in modern kitchen design for the next year. Modern style has always been a kind of mix of the main design trends featured elements borrowed from various stylistic directions. The mainstream of the coming season will be mixing styles in a reasonably eclectic way – choosing one basic style and adding elements from other styles for creating an atmosphere of comfort and coziness and impeccable visual aesthetics. It is the skill, the experience, the artistry which distinguish a successful design. 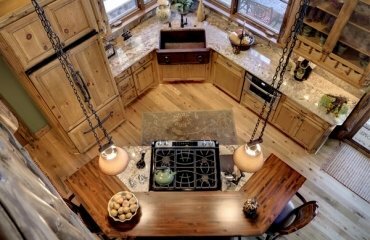 Modern kitchen cabinets 2018 will be widely used in stylistic concepts as minimalism, loft, high-tech, industrial style but this does not mean that there will not be fascinating interiors in the more “homey” styles like rustic, Scandinavian or Mediterranean as these will probably never go out of fashion. Many of you have noticed the return of retro styled stoves, for example, which are magnificently blended in contemporary kitchens and minimalist straight lines. 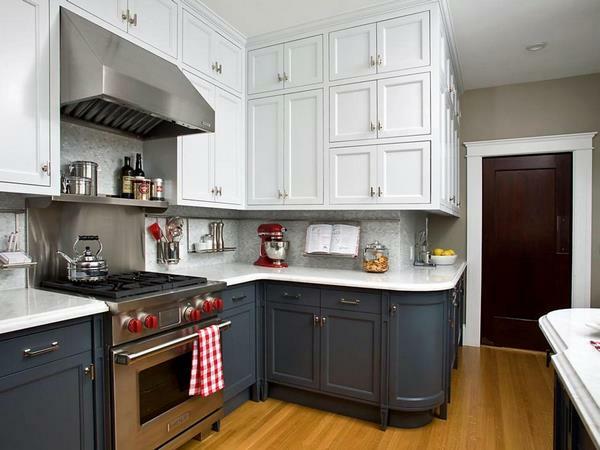 Most often such vintage appliances become the main accents and the modern cabinetry is used as a background creating a contrast in lines, colors and shapes. Open plan living space remains hugely popular and the combination of kitchen, dining area and living room provides a lot of room for creativity and inspiring design solutions to create a multi-functional interior that can meet the requirements of the comfort of all household members. 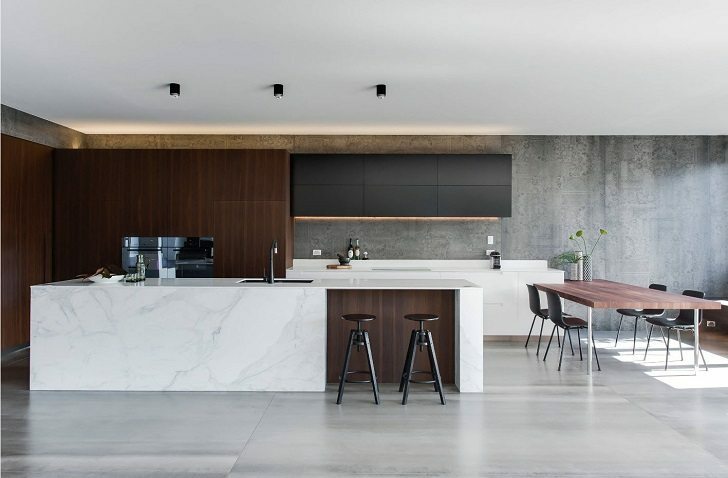 We shall see more and more blending of high end kitchen cabinet materials and finishes with worn out surfaces which break the monotonously smooth surfaces. 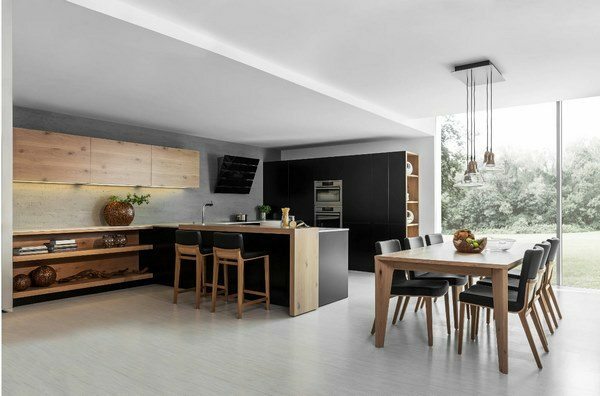 In terms of material, modern kitchen cabinets 2018 will be made of the leader among all materials – natural wood. Of course, wood belongs to expensive materials but the texture and grain pattern can hardly be beaten by any other alternative. 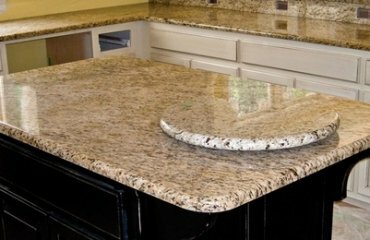 The trend to use environmentally friendly materials for finishing and for kitchen furniture is not new. Natural materials that do not harm people and the environment have always been a priority. Of course, we are not talking about the rare and expensive species of wood, stone and other natural materials which keep a high price tag. The market offers budget friendly options like MDF, veneer coating, etc. which are available in almost any color and wood species and it is possible to design a modern and functional kitchen within a limited budget. 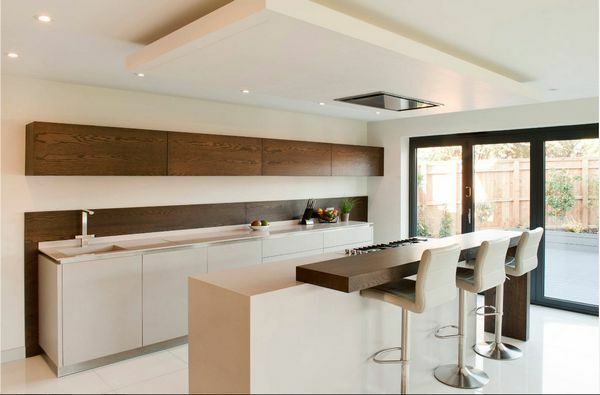 In many kitchens we see handleless kitchen cabinets and those are mainly minimalist or contemporary designs where the clarity of lines and shapes is of great importance. 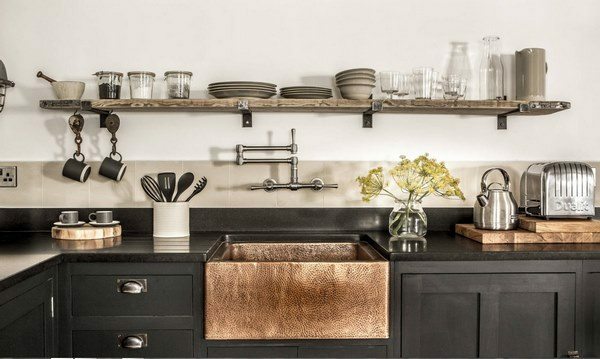 Such cabinets look quite impressive in both glossy and matte finishes. 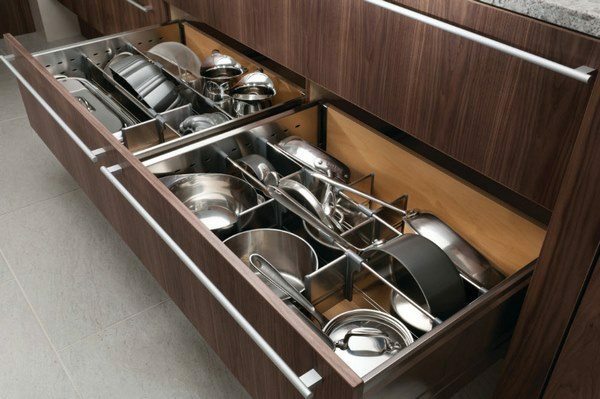 Efficient kitchen storage cabinets are a mainstream as maximum comfort is the key to making an effective design. 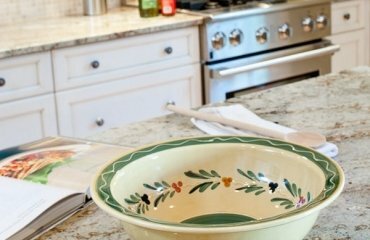 As everyone knows – storage space is never too much – so, in a multi-functional kitchen you need a lot of different devices, utensils, appliances, etc. and it is important to locate them in such a way that finding the one that you need is as comfortable and fast as possible. 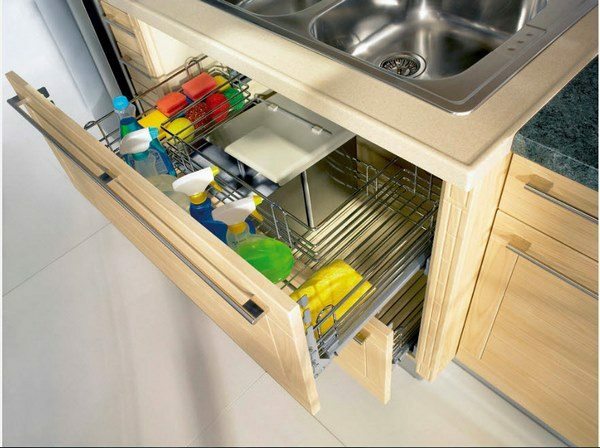 Various sliders, rotating shelves and dividers for appliances help to maximize the storage space. Another steady trend in kitchen design is to use more open shelves and we have seen wonderful examples of kitchens without upper cabinets in a variety of styles. 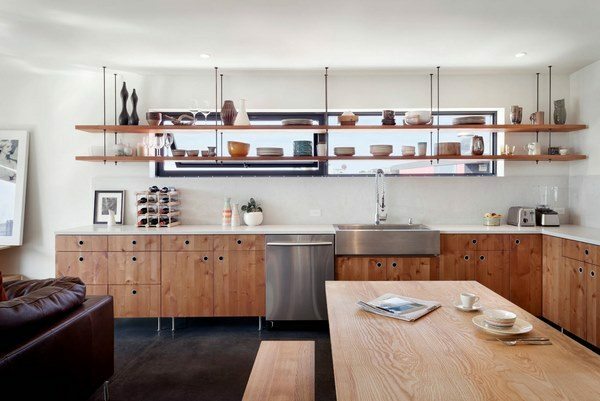 The lack of upper cabinets makes the kitchen more open and provides space for displaying dishware or artwork. Modular kitchen cabinets seem to lose their popularity to the custom made designs as these designs take into account the individual size and preferences of the homewoner. 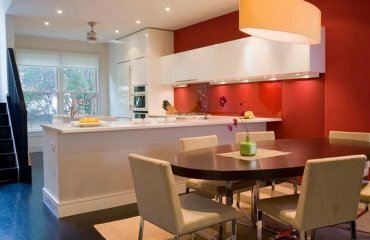 Bespoke kitchens offer furniture solutions that will fully meet the storage needs of the household, the integration of household appliances and the layout of work surfaces. Modern kitchen cabinets 2018 will be in accordance with the environmentally friendly trend which will influence the color palettes as well. The colors of earth, sea, natural stones and vegetation are more popular than ever. Designers find inspiration in the elements and natural shades always help create a special, peaceful atmosphere, an environment in which everyone will feel comfortable. 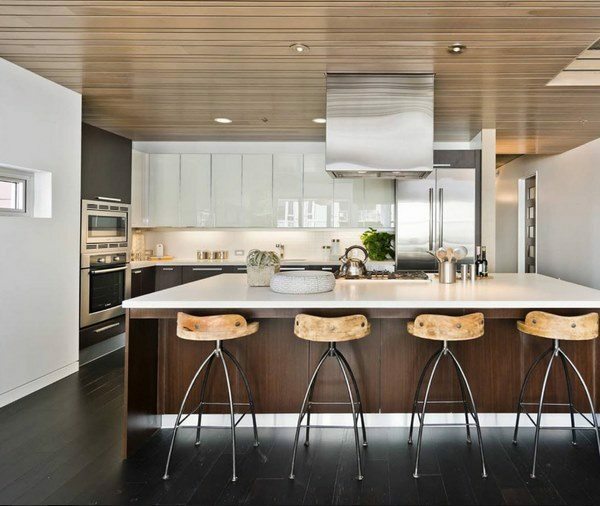 Another steady trend is using neutral colors in the design of kitchen interiors. 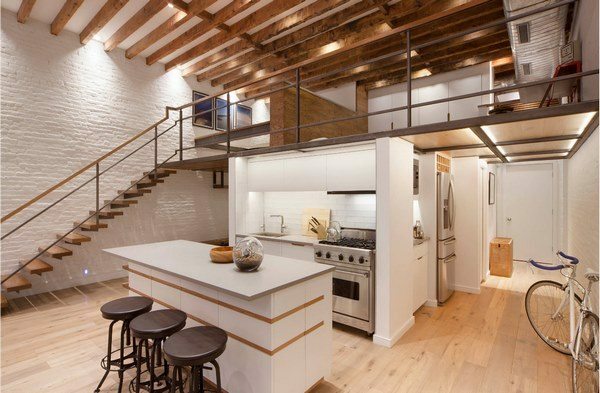 White kitchen will never go out of fashion and the great advantage of white color is that it helps to create a feeling of spaciousness, even in a small room. Natural light, reflected from the white surfaces, adds to the sense of airiness and makes space look bigger. White color is universal, it is a symbol of purity and freshness, it creates a clean and light appearance and is perfectly combined with any other color. 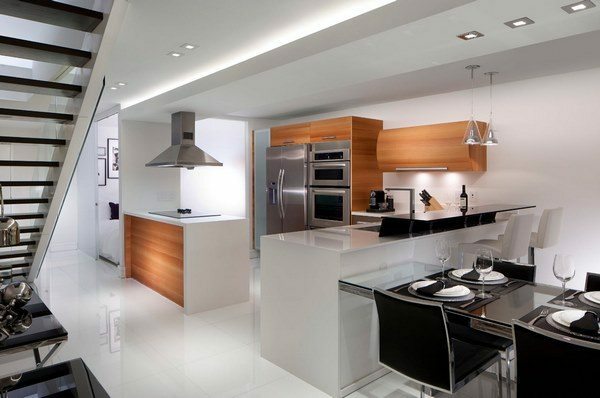 In order to add a color accent to a white kitchen design you do not need to be a designer. White is the perfect background and you can add accent colors which will enhance the overall design concept of your home – red, blue, green – anything is suitable. Dual tone kitchen cabinets – this is a trend which is embraced by many designers and homeowners and allows many creative combinations. 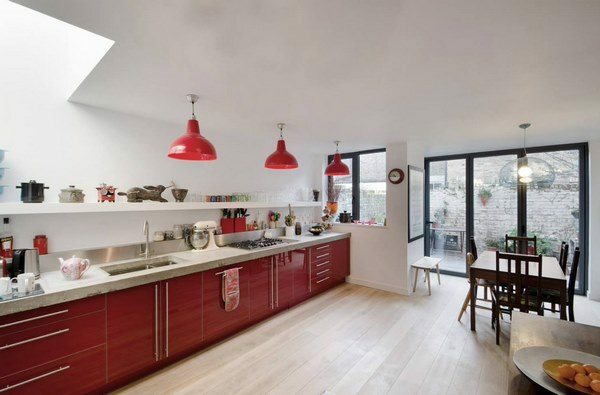 Combining white cabinets with blue, black, red adds dynamic to the appearance and the interior looks more vivid. Blending different colors of kitchen cabinets from the lighter and neutral palette or bold contrasting combinations – we shall see a lot of that. Gray in all his shades will remain a popular choice as it is practical, functional and extremely attractive. Neutral gray shades are good because even non-professionals will be able to cope with color combinations. Gray shades are easily combined with wood (flooring or countertop, for example), always look great in combination with white and can be beautifully accented by pops of bright color. 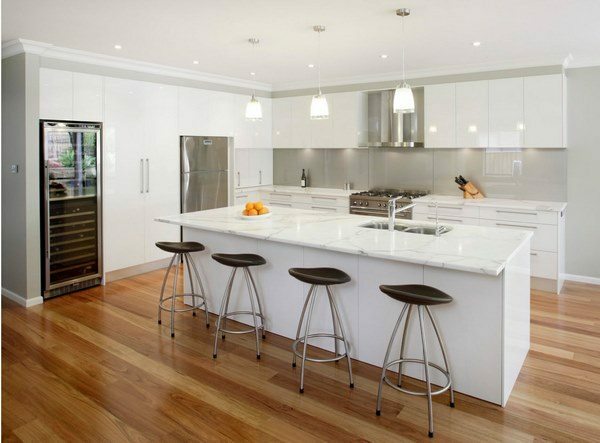 Contrasting kitchen cabinets colors will keep their position in the list of the most popular kitchen design projects. 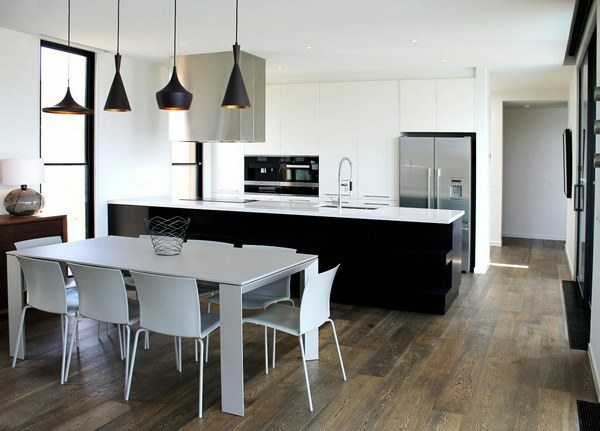 Most often, designers offer to combine white surfaces and inserts of dark gray, dark chocolate and even black. Any of the wenge shades will look great in combination with a light finish. 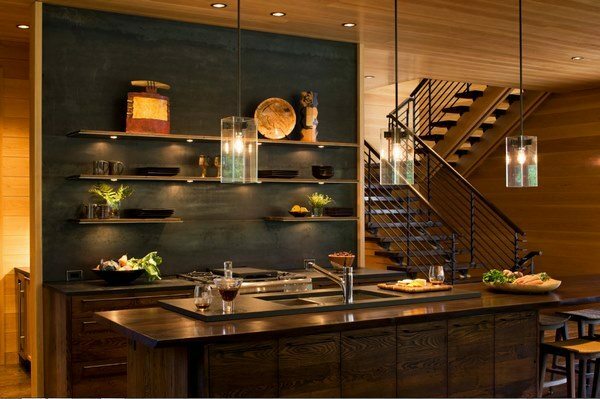 Those who prefer to soften the contrast can add elements of wood – countertops, dining furniture, inserts, etc. 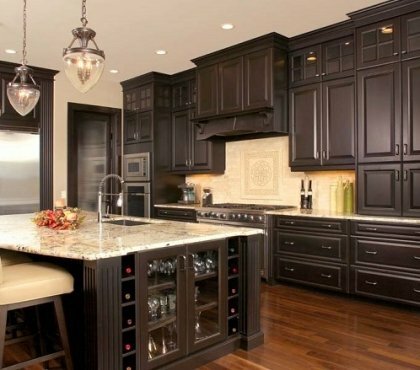 Black remains another fashionable color for kitchen cabinets in 2018. Black can be blended successfully with almost any style in interior design – from restrained minimalism to eccentric glamor – and allows you to give the room a calm, inspiring and incredibly harmonious look. 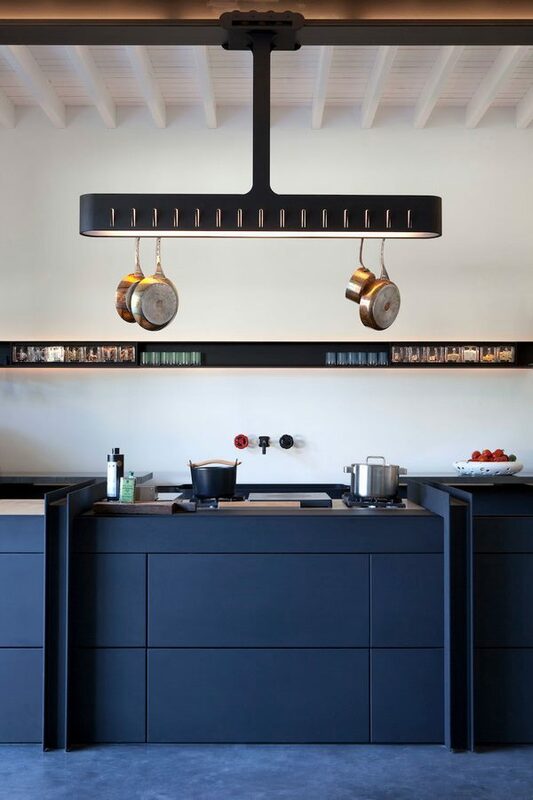 Being neutral color, black is easily combined with whichever shade you choose and looks incredibly in contemporary kitchens. The desire to create the most effective, functional and practical interior focuses the attention not only to color but to texture as well. 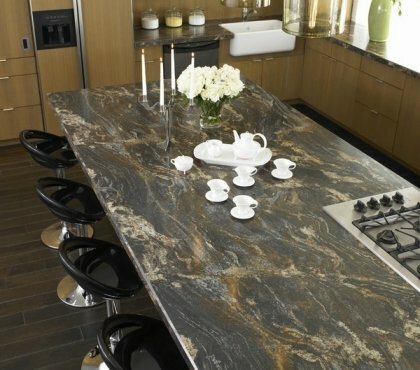 Combining different textures in the design of modern kitchens is becoming one of the main trends. 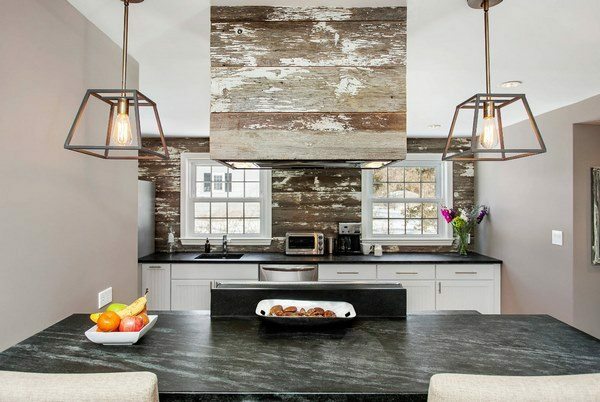 Solid wood cabinets are combined with polished concrete countertops, high gloss cabinet finish is combined with textured wood inserts – there are many opportunities and we shall see many creative and original ideas.